Recently I was desperately looking for a possibility to resurrect my Turbo Delphi Explorer Installation. A long time ago I received from Borland a message with a key for it, and that worked perfectly. After my Thunderbird Archiv was not readable anymore (from a DVD-R), I thought it should be no problem to get a key again, but there is no chance to get it again from Embarcadero (they want to sell a $200 XE2 Starter version now - too expensive for a hobbyist programmer). So I used Google to get an alternative solution and I found a Patch-Program from a Cracker group "FFF". My Symantec Antivirus immediately reported this as a "Trojan" malware program (this is definitely not the case, it's a false alarm - it changes only one file, BDE.EXE ). I took a Hex Editor and looked into it, and I recognized the file was PECompact 2 packed. So I unpacked it and uploaded it to Virustotal.com. At this time it wasn't recognized from most of the antivirus solution anymore as malware, Symantec AV didn't found malware anymore, too. This happened 2 month ago. Today I tried to copy this unpacked file again, and Symantec AV recognized it again as malware. So I looked again into the file itself, and I altered the string "PEC2", which was left over from my last unpacking try. Guess what happened. Symantec AV immediately says nothing anymore (=it's clean). So the bottom line of it: Symantecs pattern search mechanism is really rudimentary implemented, they look only for "PEC2" and that seems to be enough for them to detect an "exepacked" program ??? If you're interested in working Exepacker detection, just take a look >here<. P.S. : And btw. does Symantec also analyzing all results from Virustotal.com ?? Recently I have seen some pictures from A/UX ... a UNIX OS running on - at least - 68030 Macintosh's, according to this >>A/UX Compatibility List<< from Apple itself. So Apple had much earlier a working Unix *with* graphical user interface ! And the best - you can still download it, if you know for what filename you have to search. P.S. : Or visit *this* ftp-site or *this* http-site. Added later: http://www.aux-penelope.com/ has also some very interesting article entries about all three A/UX versions. 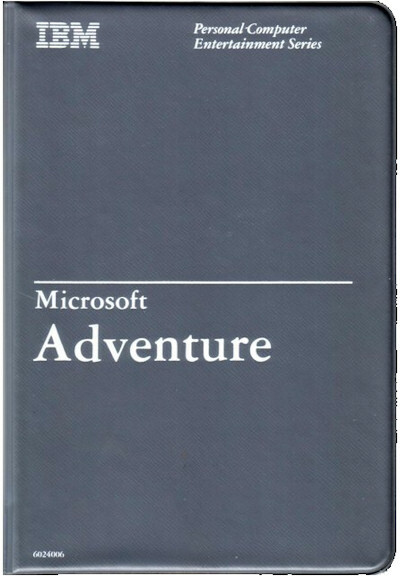 Microsoft Adventure - Is this the first game from Microsoft ? And who wrote this ? I was really surprised while "browsing" through an old BYTE issue (December, 1980). 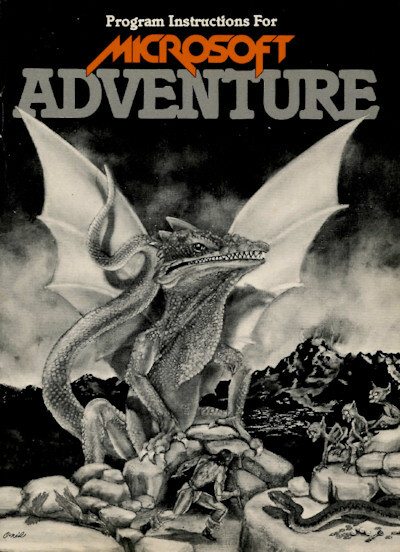 There was an article about a MICROSOFT ADVENTURE which runs on a TRS-80 and an APPLE II (later, there was also a DOS version). Even though it's not the best adventure, there is an interesting side note. It wasn't invented from Microsoft, it already existed for a PDP 10 and/or 11/70 (see notes from the author in the below attached PDF). So it can be the first rip-off from Microsoft (and *not* MS-DOS). I am not sure at the moment, that it's identical to "Colossal Cave". If someone has further information about this and the creation history, please give me a hint. Ensure to take a look into the article (PDF) - >HERE< ! There is a nice page about the original "Colossal Cave Adventure". And finally, there are a few CP/M-80 ports also, just download >this archive< (Mike Goetz made it possible). Meanwhile I saw there is another page which describes the creation history, but they didn't talk about a "rip off" or a copyright violation. Visit http://www.filfre.net/2011/07/microsoft-adventure/ for more details. Also, there is a page about the first version of this "Cave" adventure, written in Fortran. Just take a look at http://digitalhumanities.org/dhq/vol/00 ... 00009.html too. 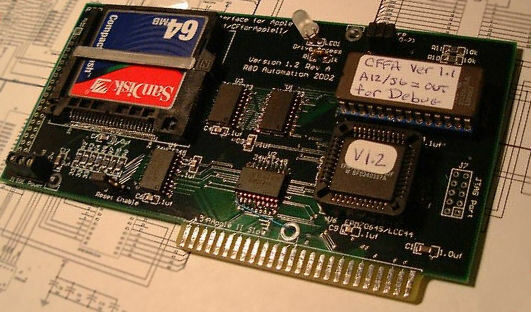 I've found a new blog about the efforts to get CP/M running on a modern hardware expansion for APPLE II's (= CFFA). See http://applecpm.blogspot.com/ ... hopefully he will have success. It's amazing that there is still a lot of ongoing development for Apple 2 enthusiasts. I have now to resurrect my dead Apple II too, I guess (power suppy problems, but I have already a spare power supply here). Project site for CFFA can be found at "Related Link" at bottom of this entry. There is still a living community related with a Debian Port for Alpha, regardless of the fact, that a port of Debian Linux for Alpha isn't developed further (and supported) anymore. There is a newsgroup named linux.debian.ports.alpha - and there are still new entries. I have found some other newsgroup related with this old CPU architecture, but there is no life anymore. This seems to be the last newsgroup which still covers the topic "Alpha". If you're looking for ISO images for Debian 5.0.9 "Alpha", this will be difficult, too. But I've found a reliable download site in Europe: debian.bsnet.se (see "Related link" below).